The European Parliament's Brexit Steering Group (BSG) is concerned by reports that the UK Home Office is considering processing applications for "settled status" by EU citizens on an alphabetical basis. The millions of EU citizens currently living in the UK have been highlighted by the BSG as a top priority. "We believe such an approach would be complicated, arbitrary and could create unnecessary confusion and uncertainty for millions of EU citizens already living in limbo. Those at the end of the alphabet may not get their status confirmed until the end of 2020 or later, which would be intolerable and contrary to the spirit of the assurances we have previously received." "We repeat our belief that the U.K.'s registration scheme must be simple, fair, user-friendly, free and provide certainty for EU citizens." 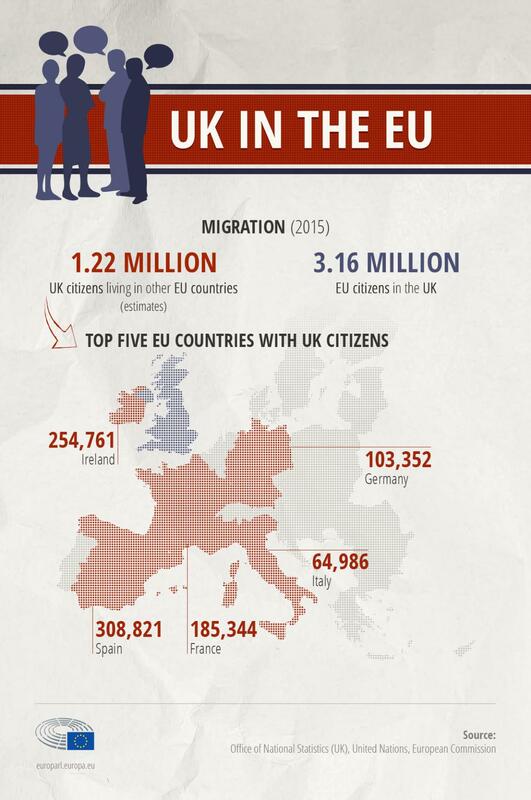 Over 3.5 million EU citizens are currently living in the UK, including 400,000 citizens born in the Republic of Ireland. In their resolutions, MEPs have repeatedly stressed the importance of securing equal and fair treatment for EU citizens living in the UK and British citizens living in the EU. Parliament as a whole will have the final say on the outcome of negotiations when it votes to approve or reject the withdrawal deal, to be finalised in the autumn.